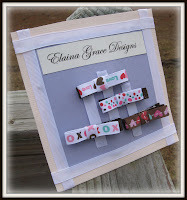 These are a few of Elaina Grace Designs valentine hairclippies that are available. I am giving you a chance to win for free !! They are made onto lined alligator clips with non slip grip to prevent slipping. They will look very cute in your little princesses hair for valentines day. 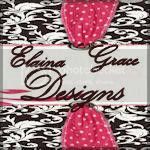 Please check back soon for new things on Elaina Grace Designs. Giveaway end 1/24 at midnight. Winner has 24 hours to confirm. For all entries please post in comments for each one including your name and email address. My niece would love the clippies!! My daughter would LOOVE these!! I was able to follow!